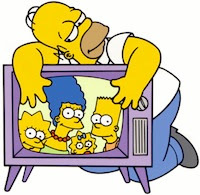 Television, one of the most popular and widespread forms of entertainment hasn't really changed much since its inception. Much like before, we still spread out on our comfortable sofa, grab the remote, and spend hours transfixed by a light-emitting box. And though with the advent of flat screen and 3D HDTVs, it still remains a staple form of entertainment across the world. SopCast is a P2P technology that lets you watch TV channels with minimal delay and fast buffering. Basically, SoP is an abbreviation for streaming over P2P. It is a Streaming Direct Broadcasting System based on P2P. With it you can watch various channels on multiple devices including Android with the ability to record the stream. Moreover, SopCast can bypass NAT and Firewall, thus allowing you to enjoy your TV from anywhere. 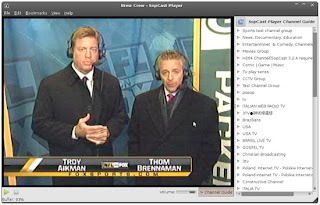 SopCast Player is a free and open-source application that serves as a GUI front-end to SopCast technology, thus allowing you to watch your favorite shows on your Ubuntu desktop. Once installed, you'll be able to watch channels like HBO, ESPN, BBC and more right from your desktop. Apart from the channels that come with the application, you can also add more channels by looking them up on Google. Based on the aforementioned SopCast technology, TV-Maxe is a free application that lets you watch TV stations and listen to radio for free. Licensed under GPL v3, the open-source application lets you watch a huge variety of channels both international and Romanian. Some of the popular channels you can watch on TV Maxe are BBC News, BBC World, Comedy Central, Discovery Channel, AXN, ESPN, and more. If you have VLC on your desktop, you can simply look up some good live streams and then play them. To add a network stream, simply open VLC and press Ctrl+N. There enter the address of the stream (usually begins with mms://) and press the button that says Play.